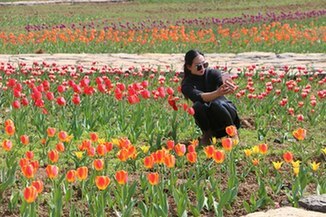 As flowers begin blooming with the arriving warm weather of spring, Anlong National Outdoor Sports Park has become an attractive destination for tourists. With the warm air, too comes new life as insects, plants, and animals awake from their winter-long slumber. Thelushengis a bamboo reed-pipe instrument so integral and intertwined with Miao ethnic culture that it is impossible to separate them. In a bid to transform the environment and provide a greener and brighter atmosphere for its residents, authorities in Xingyi city, capital of Qianxinan Bouyei and Miao autonomous prefecture, have got planting. 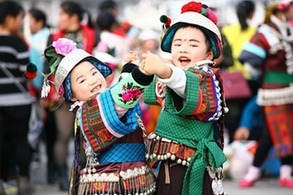 Southwest China’s Guizhou province is on the hunt for inheritors of its Dong opera, holding several auditions across the province. Students returning to school filled the dining car of train Z150 on its way back to Beijing from Guizhou on Feb 16. More than 1.7 million people have benefited from Guizhou's medical policies which have provided big subsidies for people with low incomes since 2015. A company has invested over 90 million ($13.13million) yuan in mushroom growing in Anlong county, vowing to turn it into the mushroom capital in western China.